Triple negative breast cancer (TNBC) is well known for its heterogeneous features and lack of targeted therapy. 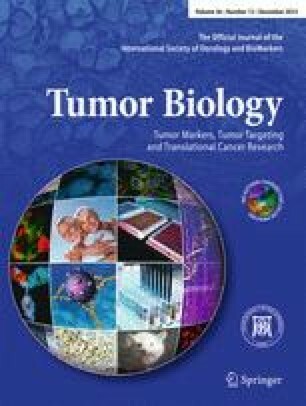 A variety of cell signaling pathways have been linked to the initiation and progression of these tumors where canonical Wnt signaling is one of the main candidate pathways. Considering past literatures on this matter and negative reports regarding mutations in β-catenin gene (CTNNB1), we focus our attention to another level of gene expression control level, microRNAs (miRNAs). For proper miRNA target detection, we utilized bioinformatics as a relatively new and reliable tool for miRNA: mRNA prediction. MDA-MB-231 (invasive breast cancer) and MCF-10A (normal breast) cell lines were chosen as models. We used different bioinformatic tools such as TargetScan, miRanda, etc. For miRNA targeting CTNNB1-3´UTR confirmation, luciferase assay was carried out. miRNA expression was induced in cell lines through viral constructs expressing desired miRNA. Quantitative real-time PCR was performed for the measurement of expression levels of selected miRNA and target gene. miR-141 was selected via expanded search among various bioinformatic tools. miR-141 expression level was downregulated in MDA-MB-231 cell line, and CTNNB1 gene expression was upregulated. After transduction with viral construct, miR-141 expression was elevated in both cell lines, and gene expression was notably decreased. β-Catenin can be considered as one of the main players in these tumors’ pathogenesis. Also, it is the potential target of miR-141, in which its downregulation was detected in cell lines, and can be considered as a promising new targeted approach toward TNBC. This work was funded by Pasteur Institute of Iran, Tehran. The authors appreciate Stem Cell Technology Research Center, Tehran, Iran, and also Cellular and Molecular Biology Research Center, Shahid Beheshti University of Medical Sciences,Tehran, Iran for providing technical support. The authors would like to thank Mr. Vahid Kia for final proofreading of the manuscript.